We like the sound of ‘Presstival’, otherwise known as the annual open day of the Whittington Press, which takes place on Saturday 1 September this year.The tiny village of Whittington, five miles east of Cheltenham, has been home to John Randle’s family-run press since 1971 and opens its doors and presses to printing and type enthusiasts every summer. This year’s festival ‘line-up’ includes representatives from Typoretum, The Old School Press, Incline Press and Hand & Eye Letterpress. Limited edition poster for the event. 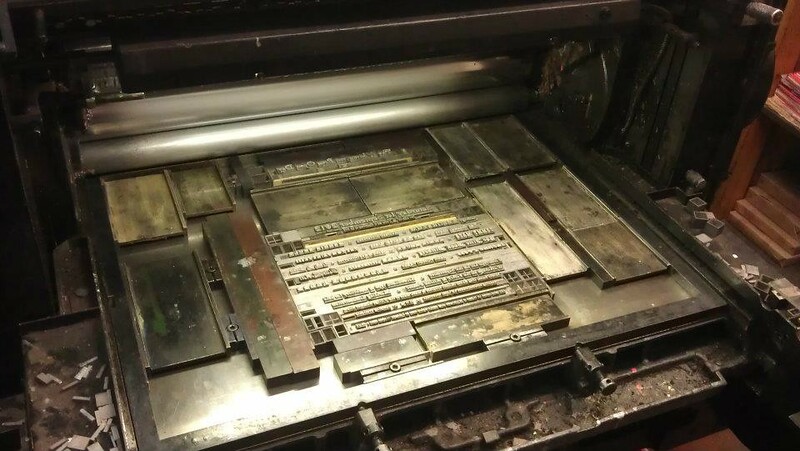 Top: Whittington’s Heidelberg press ready to print the Presstival poster. 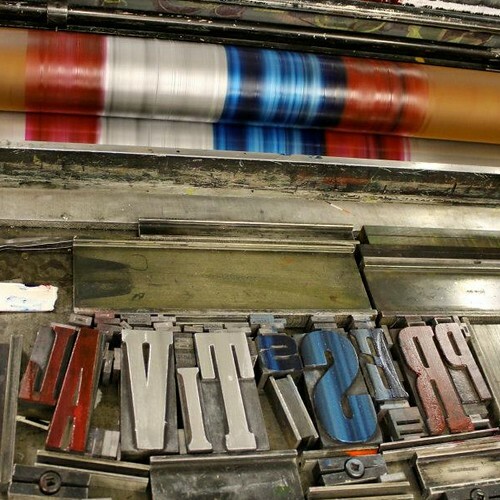 The Whittington Press boasts four Monotype composition casters and a Super caster, along with an extensive collection of diecases, and it is known for its signature use of wood engravings and Caslon type. The press publishes a handful of books annually including its own journal Matrix. 72pt Caslon at Whittington Press. Presstival visitors can see the presses in action, have a go at printing their own posters using the small Albion and Farley presses, and watch bookbinding, paper-making and marbling demonstrations. Visitors to last year’s open day. Photo by Karel Prokes. 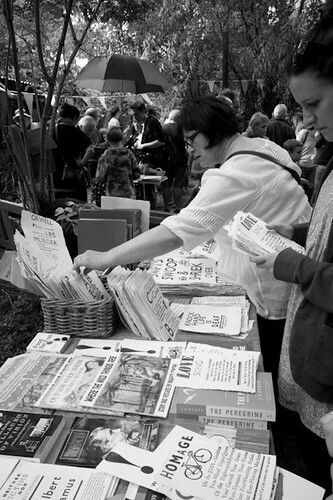 Starting at 1pm, Presstival coincides with the Whittington Summer Show, so expect a raffle, a dog show and games of skittles alongside the presses. The neighbouring Elizabethan manor, Whittington Court will also be open to the public. In the evening there is a barbecue, folk music and a field to camp in. 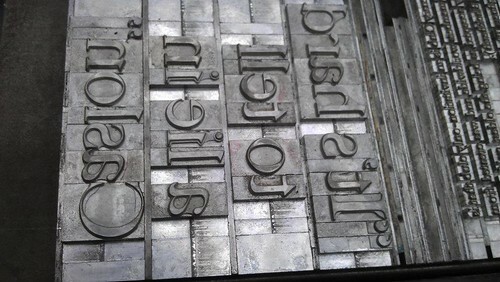 Whittington’s Heidelberg press ready to print the Presstival poster.